The surprise move pushed Chicago soybean futures to a one-month high, in the latest development to upend global soy trading after top buyer China last week proposed tariffs on US imports amid an intensifying Washington-Beijing trade dispute. 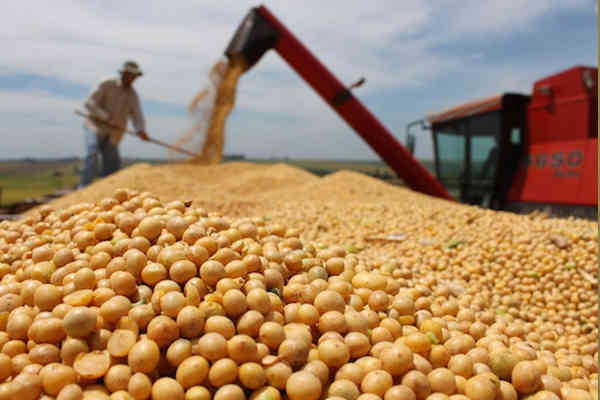 Argentina, the world’s third biggest soy producer, booked its largest purchase of US soybeans in 20 years in April after drought cut its harvest, forcing crushers there to turn to imports. 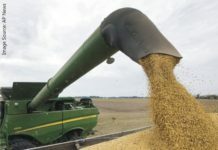 The US Department of Agriculture (USDA) reported that 120,000 tons of US soybeans were sold to Argentina for delivery during the 2018-19 marketing season that begins September 1. This transaction marks US Soy’s largest sale to Argentina since 1997. The USDA separately forecast Argentina’s soybean harvest at 40 million tonnes, the smallest since 2009’s crop of 32 million tonnes. “We’re very rapidly seeing a realignment in soybean trading,” said analyst John Baize, president of John C. Baize and Associates. Baize said Argentina could import 500,000 to 1 million tons of US soybeans this year. Bulk imports of US soybeans are rare, although Argentina typically brings in some soybeans from neighboring Paraguay. 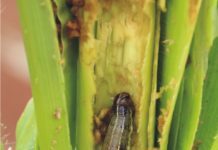 Argentina will need soybeans by October, a time when crushers in the South American country usually lack sufficient domestic supplies, and crushers want to ensure they have enough after this year’s drought. European buyers have also purchased large amounts of US soybeans in recent days. US soybeans have been a relative bargain due to surging prices in Brazil. China, which buys about two-thirds of global soy exports, was favoring Brazilian supplies and has proposed tariffs on US soybean imports. Consistent supply is a key element of the US Soy Advantage. The US Soy supply chain meets and exceeds its customers’ needs – regardless of shipment size, product type, location, or even time of year. The US transportation infrastructure is reliable and efficient, which allows its customers to generally experience shorter delivery times when they purchase US Soy versus soy from other sources. With its diverse climate and growing areas, the United States has the ability to produce a consistent, reliable, and sustainable supply of high quality soybeans, rich in protein, oil, and amino acid content.